Planets are made up of mostly the same things as stars and moons, and with millions upon billions of them (we believe), it really is mind boggling to try and understand how many planets there are in the universe. Up until recently we knew of only 8 planets in our solar system, however this is not the case anymore. In recent years and with the advances in technology we are discovering new planets almost all the time that exist outside of the solar system. So, there are planets inside of our solar system and planets outside of our solar system. The planets that exist outside of our solar system are called exoplanets. Exo stands for extrasolar system, and the planets that are within our solar system, let’s call them SS Planets. So let’s start with the SS Planets. These are the planets that exist in our solar system. Between the 8 planets, 4 of them are smaller type rocky planets and 4 of them are larger type gas planets. The 4 rocky planets are. Mercury, Venus, Earth & Mars. The 4 gas planets are. Jupiter, Saturn, Uranus & Neptune. A way of remembering these planets for your school test or just as a good exercise is the following saying. And this is the order in which these planets are in starting from closest to the sun to the furthest. Remember the saying, and have a go at naming the solar system planets off by heart. 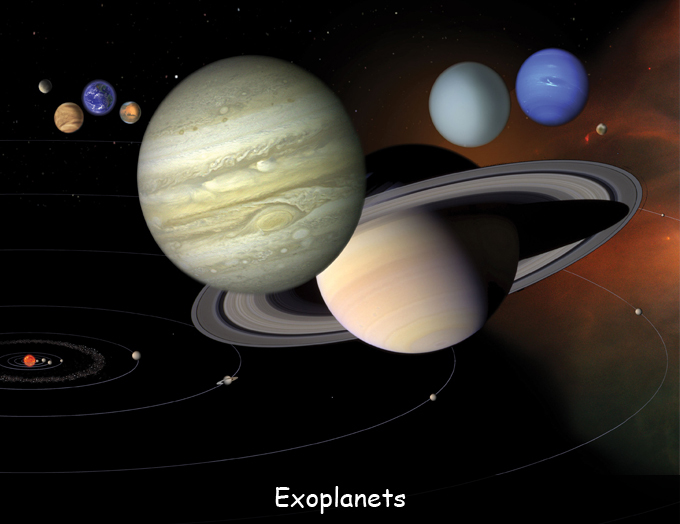 Exoplanets are planets that are found outside of the solar system. Would you believe that right now as you read this there are over 1,000 planets that have been discovered outside of our solar system; these planets are all different types and sizes. Some of these planets are in our galaxy and some of them are further afield in different galaxies. Most of these planets were discovered by the Kepler space telescope. With more and more discoveries almost every day the possibilities of discovery are endless. For more information on the types, sizes and discovery of Exoplanets please go to the TAB on exoplanets in this section. Planets, stars and moons and all other stuff in the universe play an important role in how the universe works. We wouldn’t be here if it wasn’t for the creation of our planet. Scientists are convinced that one day we will find life on other planets or even on other moons that orbit other planets, as most of the planets discovered cannot support life. However, some of those planets discovered are planets that are similar in some ways to Earth would be the planets that may have the answer to life outside of our planet. With the right temperature, the right distance from its sun and with the discovery of liquid water you just never know. # 1. A planet is a celestial body that orbits around a star. # 2. The first Planets outside of the Solar System were discovered in 1992. # 3. Life has yet to be discovered in any planets other than Earth. Q. How many planets are in the solar system? Q. How many planets have been discovered outside of the solar system? Q. 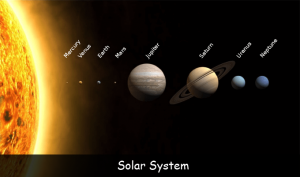 What are the 4 rocky planets in the solar system? Q. What are the 4 gas planets in the solar system? Key Vocabulary Universe. Solar System. Stars. Exoplanets. SS Planets. Moons.